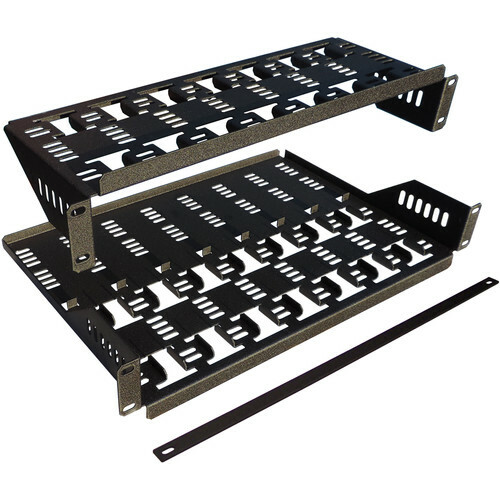 The CableTronix Rack Shelf is designed to hold up to eight DirecTV H25 Satellite Receivers in a standard 19" equipment rack. It can hold receivers up to 1.1" with 0.8" spacing between receivers. The top shelf has a depth of 6.5", while bottom shelf has a depth of 12.5" to hold H25 power supplies.